It’s no secret: Americans want marijuana legalized, both medically and recreationally. It’s no secret: Americans want marijuana legalized, both medically and recreationally. Four states and Washington D.C. have already made cannabis completely legal, and nineteen other states have legalized it for medical use. With a strong urge from the American people, the government is finally starting to understand all the benefits ganja has to offer. What about other drugs? Are Americans itching for any other mind-altering substances to be pushed through congress? Vox polled nearly 2,000 citizens looking for an answer. The Vox poll revealed some astounding facts and figures when it came to the issue of decriminalization of drugs other than marijuana. Vox described decriminalization to participants as, “no arrest, prison time, or criminal record for the first-time possession of a small amount of that drug for personal use.” The drugs in question? Marijuana, Psilocybin mushrooms, LSD, MDMA, Ibogaine, Cocaine, Heroin and Meth. While 59% supported decriminalizing cannabis, only 13% support the same idea for heroin and 15% for meth. The results come as no surprise, as the heroin and methamphetamine epidemic continues to plague America. Psilocybin mushrooms came the closet to cannabis, but still way below with only 22% support. What is surprising is that in previous polls done by the Pew Research Center, when asked, most participants said they believed drug law enforcement should focus more on rehabilitation and less on severe punishment; treating the perpetrator as a medical patient, rather than a criminal, and enforcing treatment over prison time. It seemed most respondents favored the idea of decriminalizing marijuana over the idea of legalizing it for medicinal or recreational purposes. However, when it came to any other drug in the study, there was an overwhelming “no” to any kind of decriminalization or legalizing. America is focused on getting cannabis legalized across the country, especially for medicinal purposes. With 68% of those polled favoring legalized medical marijuana, its strong healing properties can no longer be denied. When it comes to other drugs, there has not been nearly as much publicity surrounding any medicinal benefits they might carry. For instance, cocaine is used as an anesthetic to help reduce pain, but only 14% of those polled said it should be legalized. Only 12% advocated for the legalization of methamphetamines, but they are already routinely prescribed to help with ADHA and obesity. Granted, these drugs are not in the same form found on the street, they are genetically very similar, and much of the public is unaware of their legalization. The question of legalizing drugs recreationally got much of the same results as the rest of the poll. While 52% supported recreational cannabis, all other drugs scored below 14%. Once thought to be a dangerous, gateway drug, this poll proves how far marijuana has come in the minds of the American people. We’re not looking for a free-for-all legalization of every controlled substances available; the majority of us are smart enough to see the serious dangers presented by most other drugs. We simply want our cannabis, legal and readily available. 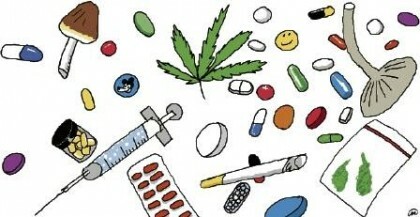 Do you think any other drugs should be considered for legalization? Let us know on social media or in the comments below.